As students emerged from their last classes of the week, the buzz of propellers could be heard overhead. Who was this visitor? A drone owned and deployed by a local company, Blue Chip UAS, captured footage to be used in Hesston College’s new video tour to be launched next summer. Rachel Swartzendruber Miller, Vice President of Admissions said this video will replace the older YouVisit virtual campus tour currently on our website. 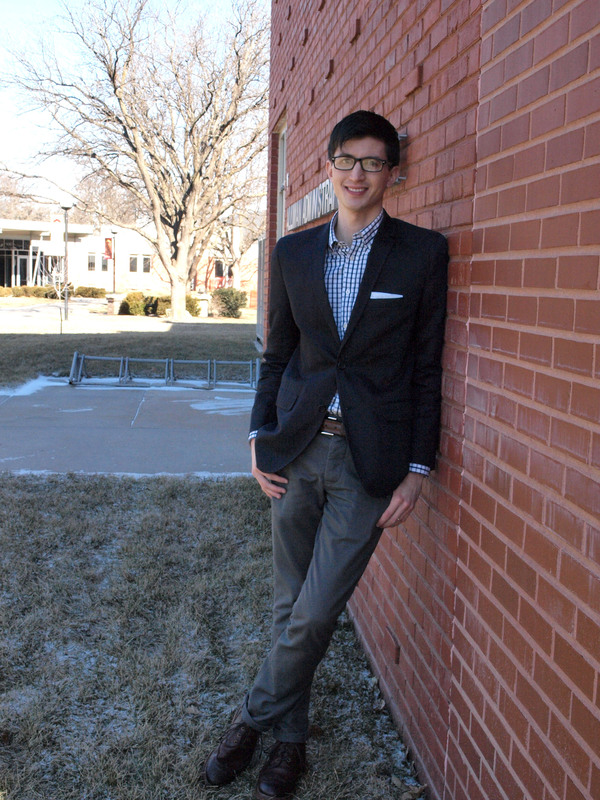 She says his footage will improve upon that experience– especially for prospective students. The hope is that the new tour will not only be updated, but that it will be exciting, stimulating, and user friendly. 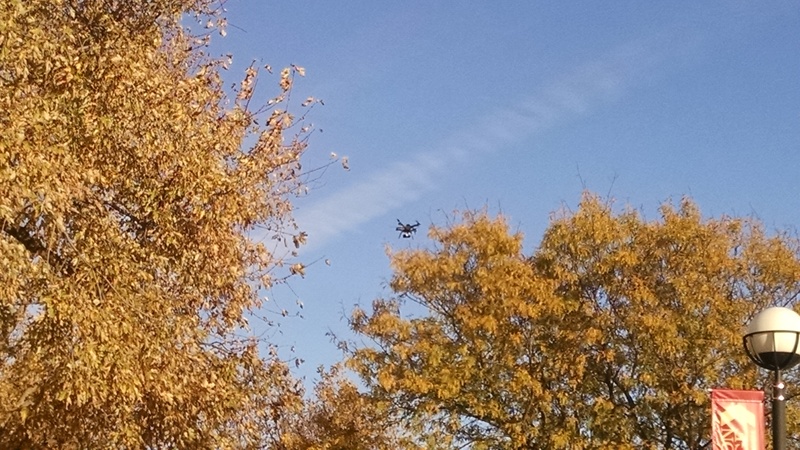 An unmanned aircraft filmed the Hesston College campus Friday. The footage will be used for future promotions from the admissions office; targeting prospective students. Photo by Billy Bass. This project has been supported by Flint Hills Design, the firm responsible for some of Hesston’s branding and marketing materials, including our website.